Want to write for Medium, but don’t know how to go about it? A detailed tutorial from Indies Unlimited will help you get started. Although Medium allows you to import already published blog posts, bear in mind that Medium is not the same as, say, WordPress. You might find yourself writing different content for these two platforms. Note: The posts I’ve linked to have important info in the comment threads as well. Don’t forget to check out the comments. Found the post useful? Share it with others, like it. Thank you. 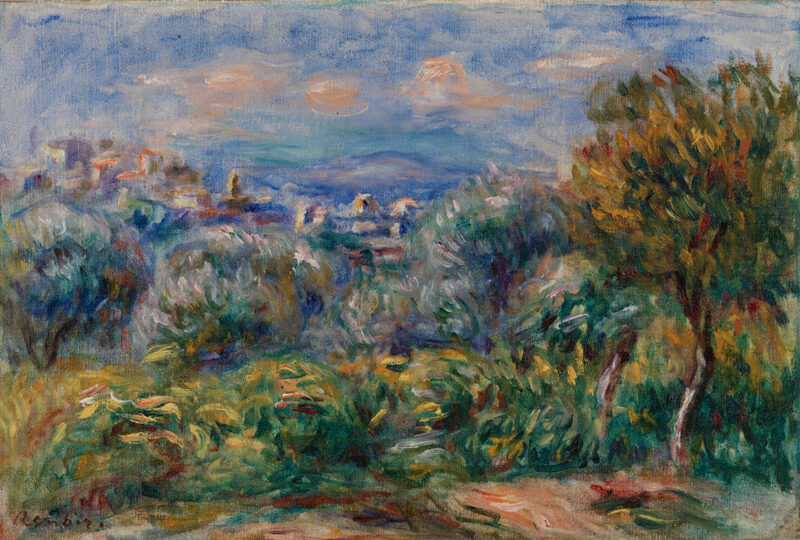 Image: Pierre-Auguste Renoir. Landscape (Paysage), c. 1917. Oil on canvas, Overall: 10 7/8 x 16 in. (27.6 x 40.6 cm). BF4. Public Domain. ← “Cocky” Is Taken, What’s Next?